The article touches upon the issue of The Rational Allocation of Fish Tank Filter. First, consider the size of the aquarium. If the length of fish tank is greater than 1.1 meters, or the volume is greater than 180 liters are large fish tank; if the length is between 0.7 to 1.1 meters, or the volume is between 80-180 liters are medium-sized fish tank; if the length is less than 0.7 m, or the volume is less than 80 liters are small fish tank. Next, consider the aquarium surrounding environment, including aesthetics, convenience and energy saving, and so on. In order to select the appropriate fish tank filter, you also need to consider the fish species, size and density. 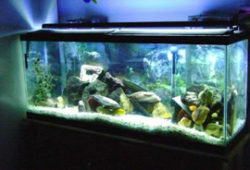 For large fish tank, we recommend that you use two or more types of fish tank filters. Large fish tank can accommodate more fish, leading to more dirt, so no matter what kind of single filter to use, it is impossible to achieve perfection. Recommended use filter vat and upper filter. 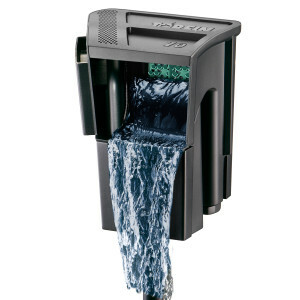 To give full play to the advantages of the filter vat, place physical and chemical filter media as much as possible, without affecting the aesthetics, the upper filter should be as large as possible, and filled with biological filter media, in order to give full play to the biological effect. For medium-sized fish tank, you can use the high power filter vat. In the filter vat, in addition to placing physical and chemical filter media, but should place biological filter media as much as possible, and improve the water outlet, increase oxygen in the water. Recommended to use mixing filter, such as internal filter and the upper filter or external filter and the upper filter. For medium and large fish tank, when using mixing filters, filter media placement needs to be adjusted according to actual needs. If the fish tank is placed in a dark place, or the fish is relatively expensive, we recommend using a quartz UV germicidal lamp. Because if the light irradiation is not good, it will lead to the growth of bacteria and algae quickly, germicidal lamp can effectively solve this problem. For small fish tank, the space is relatively small, and the need to consider the appearance, general use of single filter, and the filter can not too large, the upper filter and plug-in filter are good choices. In addition to the above suggestions, you need depending on your situation, rational matching fish tank filter. 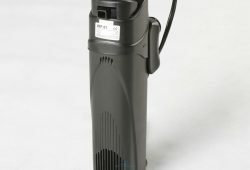 If the filter is too large, the noise will be larger and have greater power consumption, resulting in waste; if the filter is too small, it may not reach the purifying effects. Good fish tank filter systems can be more effective. Fish culture can beautify the environment, increase the fun, but also need to have energy-saving awareness. Novice should pay particular attention to water, electricity, equipment, and supplies will make you spend money, so you should do the budget in advance. 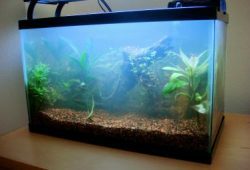 This article is some of my experiences, I hope to be helpful to novices, enabling them to better understand the fish tank filter. If there is anything unclear, you can ask questions, I’ll try to help you solve.